On September 25, 2012, the League of Arab States Secretary General Nabil Elaraby and then Secretary of State Hillary Clinton signed a Memorandum of Understanding (MoU) to deepen dialogue and cooperation on matters of mutual interest. The MoU outlined a plan for a regular high-level dialogue between the Secretary of State and the League of Arab States Secretary General. It also established a framework for future cooperation on issue-specific dialogues that address areas such as economic, humanitarian, and educational cooperation. 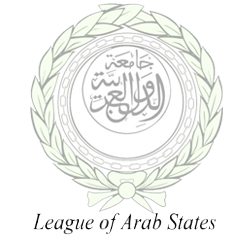 Since the signing of the MoU, the League of Arab States and State Department have launched two joint initiatives. The Open Book Project aims to strengthen awareness of the potential of Open Educational Resources (OERs) support the creation of Arabic language OERs, and promote uptake of online learning materials throughout the Arab world. In its first phase, OER practitioners from the Arab world will meet with their U.S. counterparts in early February 2014 to lay the groundwork for future collaboration. For more information on the Open Book Project and to get involved, please visit: http://www.state.gov/p/nea/openbook/. This project has focused on coordination around humanitarian issues, crisis response and monitoring, and support for UN operations. As part of the program, State Department and USAID officials traveled to Cairo in December 2012 to meet with relevant officials. In February 2013 the League of Arab States’ Crisis Department traveled to Washington and New York and visited U.S. government crisis response operations at the international, national, and local levels. Meetings included the State Department Operations Center, USAID’s Office of U.S. Foreign Disaster Assistance Crisis Response Center, and the Federal Emergency Management Agency, among others. As a next step, a joint mission to Ethiopia will take place in early 2014, bringing humanitarian experts from both institutions to examine the humanitarian crisis affecting Somali refugees and others.